The mission of ComplexCity Spa is to make you feel and look your best. We offer state of the art treatment combinations that was specifically developed to improve different skin problems. Our prime focus is not only to provide the customers with beautiful and glowing skin but also to consider the crucial health of the skin as well. Our goal at ComplexCity Spa is to provide the highest quality aesthetic services in a comfortable, relaxing environment. We will accomplish this by creating individualized treatment plans, emphasizing a personal clinician-client relationship. We use the most advanced treatment options to maximize results, while assuring that our client’s safety, comfort, and confidentiality remain our priority. When choosing a treatment for healthy and glowing skin, it is important to know which therapy is the best. Coreen Mathe CEO and founder of ComplexCity Spa is a licensed surgical technologist, electrologist, permanent makeup artist and esthetician who possesses a thorough understanding of skin health and condition. Her unique medical and aesthetic background allows her to design the most effective treatment plans. 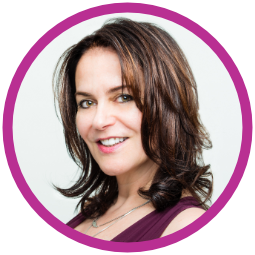 More so, Coreen’s decades of experience working with plastic surgeons and dermatologists allows her to perform the procedures with a great level of expertise. Coreen evaluates each client, through a comprehensive consultation, and formulates a plan based on individual needs and care. Coreen’s aesthetic center is all about skin — your skin — and the latest cutting-edge treatments and therapies available. ComplexCity Spa was created for those who insist on the latest and most effective skin care treatments. ComplexCity Spa headquarters is conveniently located in Hollywood, Fla. and serves clients from Fort Lauderdale, Miami, Aventura and all surrounding areas as well.